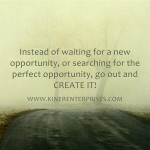 Happy Holidays from Kiner Enterprises Inc.! - The Let's Talk Dance Blog - Empowering Dancers To Create A Better Quality of Life! As we approach the Christmas holiday and 2010 comes to a close, I wanted to take a moment to share my gratitude for the important part that you have played in making Kiner Enterprises such a success. Each of you have shown your support in some way or another throughout this year, and we deeply appreciate you, and your important role in our company, and in the dance community. We, at Kiner Enterprises Inc., wish you a very Merry Christmas, and a new year filled with joy, abundant blessings, and everything your heart desires. The new year will bring many exciting new things for us, and we look forward to sharing each moment with you! Be blessed!